Hey Moonies! Yes, we all know there have been a lack of updates going on this site in the last few weeks. There really hasn’t been anything going on. There was a story from Japan recently about a TV Meteorologist who was inspired to be in her field because of Sailor Moon, and Sailor Moon Channel has new horoscopes posted. And we couldn’t let this actor update go unnoticed at all – Keiko Han (Luna in both the anime and PGSM, Queen Beryl in the anime) and her daughter Megumi are keeping it in the family! Both are currently appearing in Madhouse’s retelling of Yoshihiro Togashi’s (Naoko Takeuchi’s husband) Hunter X Hunter! 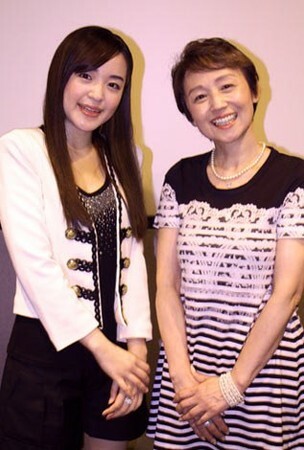 Megumi is in the leading role as Gon Freecss, and Keiko Han plays Mito Freecss, Gon’s adopted mother. Megumi was challenged on the first day of recording; while she was working alongside her mother, she still felt some of the pressure from her! She also said that her mother was surprised that she chose to follow in her footsteps, and initially didn’t consider voice acting a career until after she had started university. Oricon conducted an interview with the two of them which can be read here! Junichi Sato (Director for Sailor Moon and Sailor Moon R seasons) will be making his first American convention appearance! He will appear at Ushicon 2012 in Austinn, Texas, from February 3-5th. For more information, check out the con’s official webpage here! 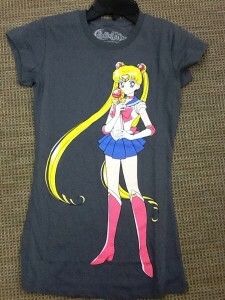 Hot Topic just recently introduced a new purple Sailor Moon T-shirt featuring Sailor Moon, Chibi-Usa, and Luna-P (or Rini and Luna Ball for you dubbies). Sailordees’ one sentence review: like the design, appeals to the younger fan in me, wish yet again this wasn’t so see through. The Sailor Moon Raglan is also back in stock. Oh, and Hot Topic now has a Sailor Moon Hoodie! Keep your eyes on the site though, the product has just launched and will probably be in stock very soon (fans do not worry, you didn’t miss this). This is a site we have on our daily radar that we check every morning and evening, and the hoodie was not listed this week. While Hot Topic was the exclusive launch licensee for the T-shirts, FYE is now testing the sales of the T-shirts in their stores now. We contacted a representative of Hybrid Apparel yesterday, and learned that the two will always have different designs for t-shirts. But, if this test is successful then there could be potential to have Sailor Moon shirts at other retailers in the spring. Fans can check out images of the shirts posted at Sailor Moon Fans on Livejournal. We are not sure that FYE was a wise decision. FYE has only 440 stores nationwide, of which the vast majority of them are concentrated in Eastern states. Hot Topic has 634 stores that are balanced a little more evenly throughout the US. FYE also doesn’t sell their shirts online, and we all know what the demand for these shirts are. It is hard to know if FYE’s success will match that of Hot Topic’s. For those of you who read Anime News Network and didn’t read the posting on our Facebook page yesterday, here’s our correction reposted here. 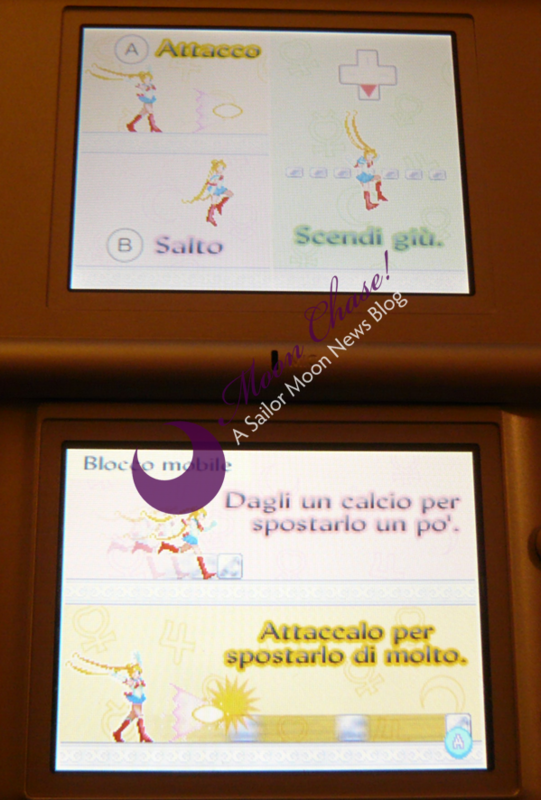 And while we are still talking Sailor Moon politics: Italy isn’t getting the Artbooks. We don’t know any more details about this, but we do have a lot of questions. Did GP publishing ever have the rights, and did they say that they would publish them ahead of any contracts being signed? Were they pulled suddenly by Naoko Takeuchi/PNP? Did they disappear for the same reason that there will be no new toys there this holiday season? On the North America side, we can tell you that the companies are aware of fans’ demand for the artbooks. Until we hear a definite no, we will keep trying. And as far as the Mexico DVDs go? 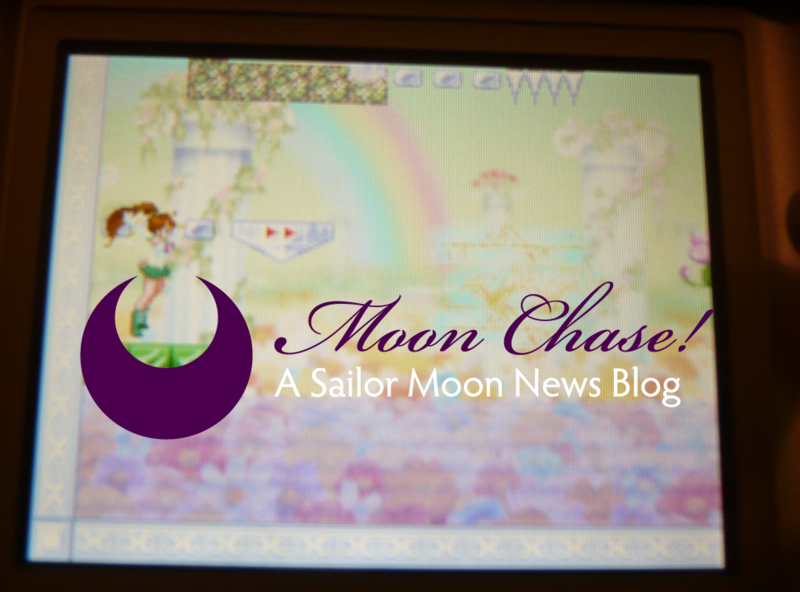 We haven’t been able to keep up with this – but please do your part to support Sailor Moon. Mexican Moonies, let us know if sales are still dwindling (Hey Cycyn, could you be so kind to send us an email to tell us what is going on? We miss you xoxo). On the bright side, Sailor Moon’s trip to North America should have the absolute and complete go ahead to purchase her plane ticket very close to Christmas. There should be news in 2012! Edit: Here are some better pictures of the T-shirt designs being sold at FYE. Photos provided by Hybrid Apparel. 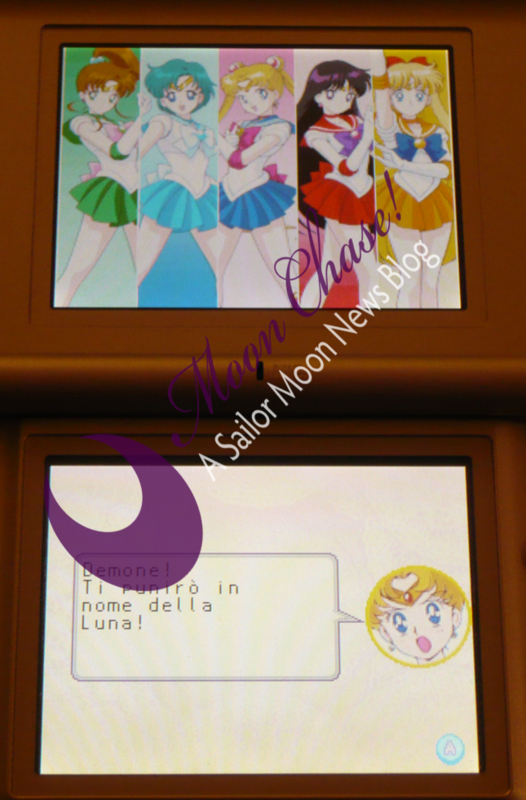 Via Sailor Moon World Italy (and some fans’ messages, thanks! 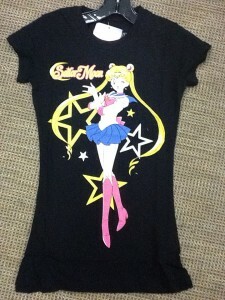 ), some new companies involved in merchandising have acquired licenses for Sailor Moon. These include two companies with US branches and one for France; Topps (Germany, Italy and America), Namco Bandai Games America, and Giochi Preziozi France. It is probably safe to infer that Topps will be releasing sticker books (and possibly cards), Giochi Preziozi France will release some (if not all) of the toys made in Italy, and NBGA is likely going to bring La Luna Splende to North America eventually. But, nothing is confirmed, and everyone should have waited for a press release. We have been advised from the companies to play it safe and wait for official word before posting anything like this, but given the criticism and heat we have had to face from some fans, we’re addressing it now as safely as we possibly can. 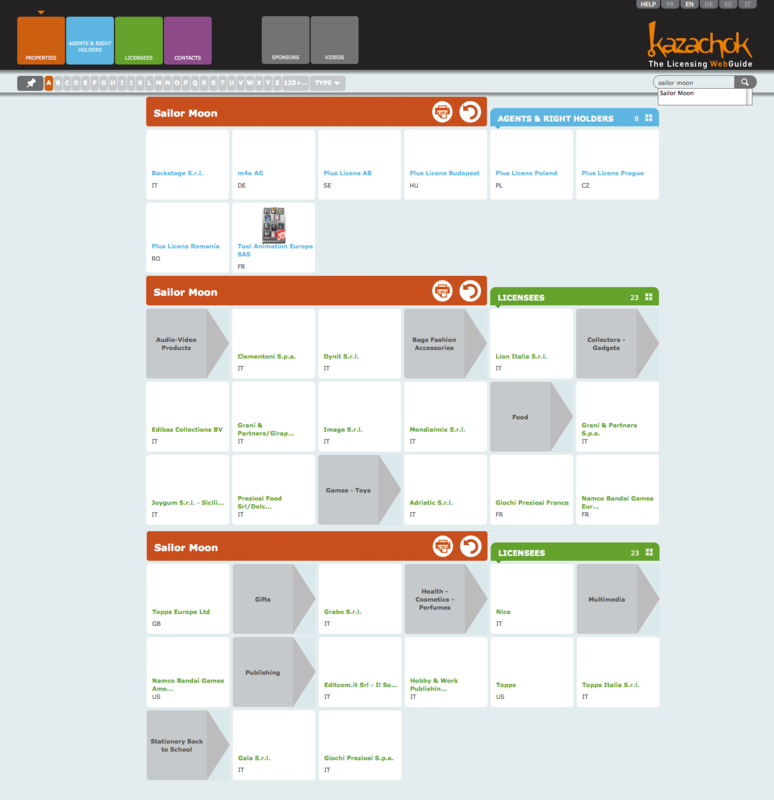 We’ve featured a large photo below filled with cropped screenshots from Kazachok’s Web Guide. What remains to be known (especially in France and North America), is if this is a sign that the release of the anime is imminent in either of these regions. There are a few other regions in the world that don’t have Sailor Moon either (Russia and Ukraine, to start). In a Japanese press release announcing the return of Sailor Moon to North America, Kodansha made note of how especially in North America, that without the release of the anime and other merchandise, that the manga may not experience the same “big boom” of the past*. We can’t speculate on the progress being made on the anime, due to certain statements made in the last 2 months from companies and representatives all around. We have to wonder if these new merchandising deals are some kind of a placeholder in between that will ultimately aid the anime when the time is right for it to return, while also tiding the release of the manga. 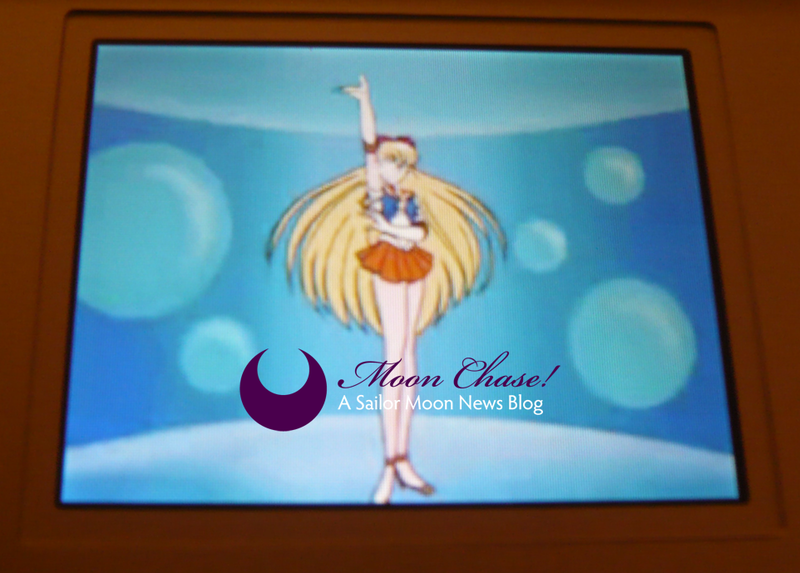 Usually, the pattern in Sailor Moon licensing news has been anime first, merchandise and manga second. What do you think, Moonies? *We had read this the day it was posted but didn’t post anything about it on Moon Chase because you fans were in such a happy mood and we didn’t want to damper the situation! Instead, we all discussed it amongst ourselves for a while and once again, wondered why Sailor Moon was having such a turbulent resurgence. A Bird? A Plane? Sailor Moon! Skyscanner, an Italian comparison website for flights recently reported that 59% of travelers would prefer a family only in-flight section and some airlines had seriously considered this option, as well as the ability to offer flights with no children. Urchin Airways, a fictitious new airline based in the United Kingdom, has decided to capitalize on the demand for separate flights with a different perspective. With over 1 million children flying unaccompanied every year, they decided to provide a specialized service geared to the needs of children traveling without adults. The first available is a flight to New York that took off from London the morning of April first. Soon there will also be flights to Italy, probably to Rome or Milan. Aside from staff, the “no adults” flights will not allow any passengers over 16 years of age. In addition to a full crew on board, there will also be qualified nannies, ensuring safety and comfort for the duration of the flight. While the majority of unaccompanied minors fly alone because their parents can not travel with them, a spokesman for Urchin Airways has indicated that there is growing demand from parents to have the opportunity to travel separately, even on occasions where the whole family is traveling to the same destination. Urchin Airways will launch a service for adults only flying parallel to meet the demands of these parents, as well as other adults who want to fly without children on board. The two services will take off and land within minutes of each other, ensuring that parents and children are reunited without issue. The menu will be tailored to the palates of children and include items such as chewing gum, gingerbread men, and string cheese. Food will be served by Oompa-Loompas, who will sing to the children while they work. Rather than offering hot towels, Teletubbies will be used for cleaning and drying the faces of children after eating. 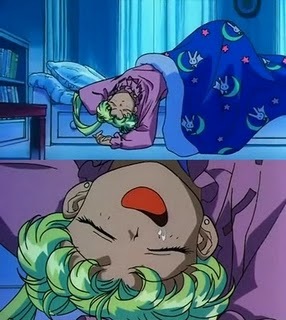 And, on flights during the night, Sailor Moon will tuck in their blankets. Although we learned that this was a joke initiated by Skyscanner, we found this was a fun and unusual place for a mention of Sailor Moon and thought you might enjoy reading about it. Too bad we won’t really be seeing Sailor Moon on an airline! 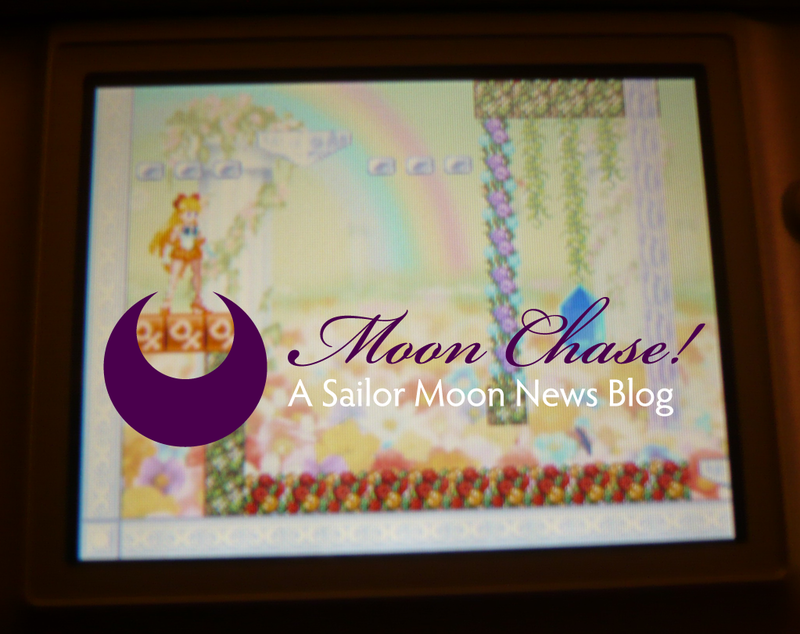 If you haven’t seen it yet, you may also be interested in reading Sailordees’s review of the game. Let me start this post with the following. First of all, we were not given this game as a gift by any of the companies involved. 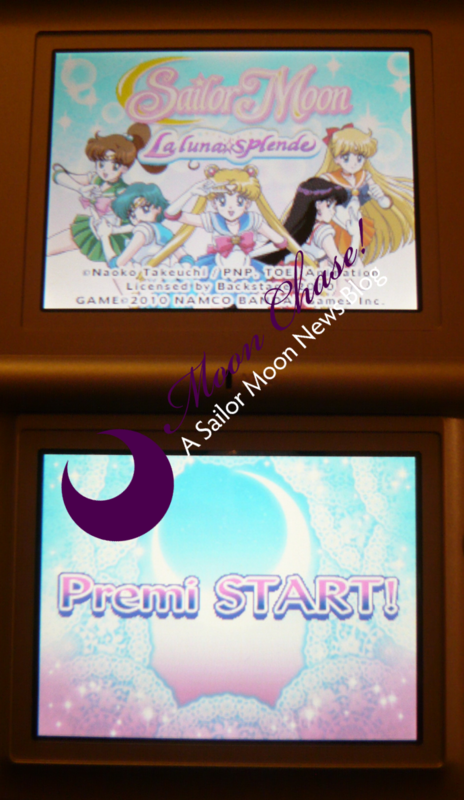 I purchased this game on my own, for my own enjoyment as well as to review this for the readers of this blog, in what has become a very exciting time to be a Sailor Moon fan. I love Sailor Moon. I love Naoko Takeuchi’s work. I love Sailor Moon: Another Story, and the puzzle games. I was excited at the prospect of a brand new video game, especially for the DS. 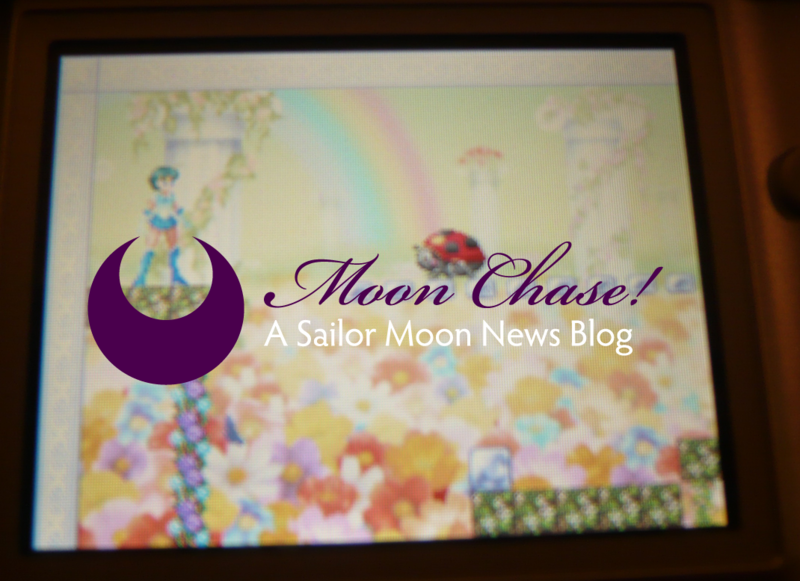 At the very least, I wondered what the touch screen could bring to Sailor Moon. I had such high expectations for this game, given how good the dolls and other goods coming out of Italy looked. And then came the first delay – this game was first promised to fans in late 2010, but was delayed until Spring 2011. We thought, that this might have been because of something in development not going well. Despite this, I kept my fingers crossed that this game was going to be good. Then, I saw the screenshots and heard the first buzz about the game in press releases. I wasn’t impressed with the screenshots, and I thought the plot was a little cheesy. 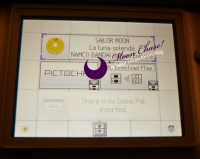 I didn’t really like the name either (Sailor Moon: The Moon Shines…seriously, was that the best that Backstage, Namco Bandai, and everyone else could come up with?) Alas, I saved face and maintained a positive attitude. Maybe I was worrying over nothing. My expectations became lower for this game. But still, there was that tiny hope that this game was going to be better than what everything up to this point had suggested. Let’s begin with shipping hassles, where this all began. Bol.it was the first online retailer (that shipped internationally) to list this game. I was impressed with their site, they even had a pulldown menu with all the United States and Canadian Provinces listed. The forms were a little clunky, but I managed to fit all the things required for a North American address in them. Then, when the confirmation came back to me, I noticed something a little strange. Somehow, my address carried the state/province abbreviation of “EE”. City was there just fine. I didn’t understand why. I contacted support about this a couple times, and never heard back. I had hoped that the correct code on my address would suffice to bring the game here. Last Friday, when I learned my game was shipped, the receipt carried no tracking number, thereby killing my last shot at telling the courier that my address was incorrect. It was only this morning (Monday, March 21) that I finally got a response back from Bol.it saying that they realized it was a mistake, but they couldn’t change it. I was supposed to contact FedEx, and they had sent me my tracking number. But, to my surprise, it was already in town. I had gotten off just in time to make my way to the depot before it closed to pick it up. I urge fans to be cautious if they use Bol.it. Yes it is pricey ($71), and you have to really fight with them to get your address corrected, but I was really impressed with the speed of the courier. Fans can save around ten dollars if they purchase the game from Amazon Italy. Finally, it is time to get to what you all are waiting for. 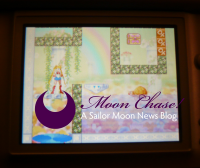 The game played just fine on my silver Nintendo DS Lite. Tomorrow, I will try it on a friend’s Japanese DSi. If fans have any requests for systems, let me know and I will try to find someone around me that has one to try. The companies responsible for this game are: Naoko Takeuchi/PNP, Toei Animation, Backstage, Namco Bandai Games Europe, and Open Sesame Inc.. Has anyone heard of that last company? I couldn’t find anything with respect to video games. EDIT: Open Sesame Inc. found! Open Sesame Inc. has made games for Mister Donut, Pretty Cure, and Gundam before. The game had no animated movie or sequence of any sort. This screenshot (right) shows the first thing you see after all the company marquees. At this point, my first instinct was to touch the screen with my stylus, but I guess that did nothing. I really did have to push start! In fact, this game has no touch screen capabilities whatsoever. It could easily be played on a GBA. After you selected Adventure Mode, you were lead through a conversation sequence between the Senshi and Luna amongst a sleeping Nina/Naru/Molly. This was not animated, and consisted of Senshi photos with speech bubbles. This next photo (left) shows this at the tail end, where they have all transformed instantly and Sailor Moon promises to punish the Demon in the name of the Moon. 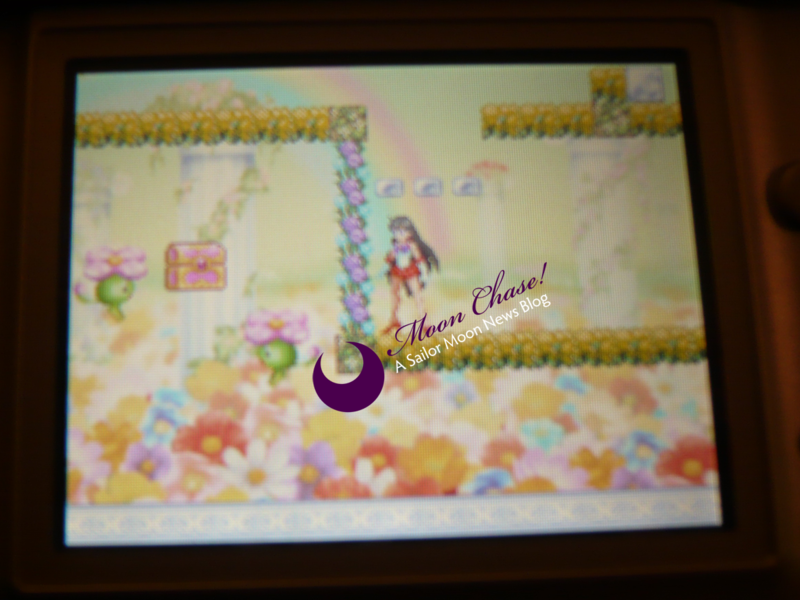 The first level you play is “Mondo dei fiori”, or world of flowers. Enemies in this level consist of only ladybugs, turtles, and flying flowers. What those have to do with the Sailor Moon universe, is beyond me. Each level, is a maze with 20 segments that you have to navigate through from portal to portal.You have to collect 10 crystals, to beat the level. The nature of these puzzles are very limited, as your character is only able to jump and attack, and the down button allows you to go below certain dashed rock tile (this does not include small holes among the shrub tile). How do you solve these puzzles? By using floating platforms and moving rocks. 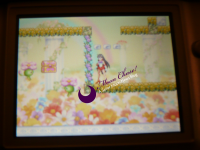 I got through about half of the segments in the first maze as Sailor Moon . You cannot switch characters without getting your crystal count reset, and some crystals and treasure boxes are only available to get playing as certain characters. You also don’t have any lives – you can die but you start the segment you died in over again.A game over, is not possible. I became quickly annoyed with this game after around 90 m inutes of play. I did not beat the first level since I ran into a couple dead ends (I restarted the game about 4-5 times). Gameplay itself was a little clunky since it was sometimes hard to maneuver jumps/attacks (and you cannot do the two at the same time). The one positive side to this game was the fact that they had transferred video sequences of the henshin – and these came through quite nicely on the DS! 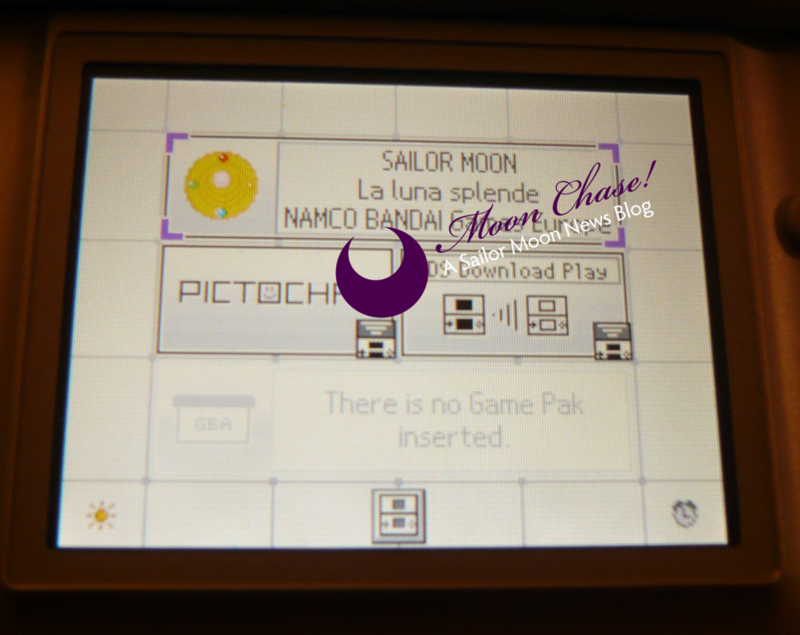 The music on the start screen featured a melodic interpolation of the Sailor Moon theme, but everything else in the game was very generic, circus-sounding music. I had to slide my volume to mute because I couldn’t take it anymore. The graphics were good outside gameplay, but during the levels themselves, my worst fears were realized. The Senshi really did look as cheap as some of the fans had speculated. I was disappointed, and would give this game a 2/10. I don’t see myself being that enthused about the game that I want to play it every day until I finish it. This is more of a game I would play when I am bored and have lots of hours to kill. I think that many of you will also be disappointed if/when you play this game. I don’t think that this game is a good match for young kids because some of these rock-blocking puzzles are a little tough (especially when the manual or on screen instructions don’t tell you much about what they are supposed to do). Fans, please be cautious when you purchase this game – or perhaps wait 6-10 months from now when the game’s price drops. At the end of the day, this is just one of those products that goes with the weird ones of the past that were too strange to understand (such as Irwin’s Moon Cycle). I am still a fan of Sailor Moon despite this, and I really hope that if there are future video game possibilities, that they are a lot better than this. I have now beaten two out of the three levels – “World of Flowers” and “World of Gems” with 100% completion (so I am fully 66% finished). This is how the game works – in “Adventure” mode, each level is a maze. The top screen displays a grid of either 4×5 squares (World of Flowers), 5×5 squares (World of Gems) or 6×6 squares (World of Enchanted Palace “Mondo del Palazzo Fatato”). Each one of these squares connects to its neighbors differently, and there is one end square with a mirror. You need to use all 5 characters to beat the level and you must collect 10 crystals and several treasure chests per level. However, your character must find this end square and walk through the mirror for their crystals and chests to save. Some of these puzzles are very challenging – I can’t imagine anyone having an easy time playing this game, no matter what the age is. I have found one puzzle that is impossible to solve (and thankfully there is a second way out of the square), simply because of the timing. The bombs in the second level detonate too fast to travel over a long distance, and the character does not move fast enough. The boss battles with Lord Kaspar/Kunzite/Malachite are on the other hand too easy. If your character dies in the boss battle, they are allowed to return after you watch Milord/Tuxedo Kamen/Tuxedo Mask throw his roses 3 times. He has failed to hit Lord Kaspar in each of the battles I have played. I think, his presence in the game is the biggest epic fail. In the anime, at least his roses were able to stun the enemy or at least be more productive! Whichever senshi you finish the maze with, is the senshi that deals the final blow to Lord Kaspar, and after the battle ends you see video of their attack from the first season (however, so far Sailor Moon has only thrown her tiara). The 10 crystals form segments of a larger heart crystal – Level 1’s is blue, 2’s is yellow, and 3’s is red. These 3 heart crystals probably form something together (maybe the Silver Crystal?) to awaken Nina, but I have to put this game away for a few days (I won’t know how it ends for a while). The treasure chests, correspond to various items you use in “Images” mode. These items are unlocked backgrounds, characters, or decorations used to make images of the Senshi. You can build up to 3 at once, but this is useless because the user is unable to print them. This mode uses the stylus to move and choose aspects of the images. For those of you who are wondering, the enemies in the second level are teddy bears, evil spinning hearts, and butterflies. The third’s are tin soldiers, these zombie fish skeletons that jump up and down from the water, and bats. I will be writing a strategy guide for this, but only after I have beaten the game. This is because I would like to have the beaten grids and the pathways available when I write this, as well as a better sense of where this game is going.